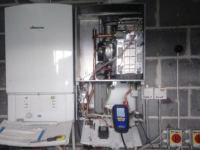 We offer a comprehensive boiler service in Liverpool. Call us on 0151 438 2297. It is highly encouraged that you service your boiler once a year to reduce the possible risk of Carbon Monoxide poisoning. This is caused by a damaged, faulty or poorly maintained boiler (or appliance). 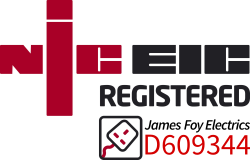 If you request a boiler service, we will dispatch one of our Gas Safe® Registered engineers. All our gas engineers are highly experienced and fully qualified to handle the servicing of your boiler. We can service many types of boilers, including condensing boilers, non-condensing boilers & combination boiler 'combi'. Closely inspect your boiler and various controls to ensure they are operating correctly and most importantly, safely. Visually inspect your boiler. We will be looking for any possible corrosion or leaks. Rate of gas consumption/gas pressure will be checked to ensure it is operating correctly. If these tests fail, adjustments will be made to rectify the problem. Perform a flue combustion test to check for dangerous emissions. Remove the burner and thoroughly clean. Check ventilation is safe and free from obstructions. Heat exchanger and flue will be cleaned. Once the service has been completed by an engineer, they will record the details of the service into the boilers logbook. It will explain the checks completed and any required work to meet safety standards. They will also record when the boiler needs to be serviced again for your knowledge. We will also give you recommendations for repairs and further work to be completed (we can make arrangements for additional works to be completed if you desire). We highly recommend that you should never, ever attempt to service your boiler. It is illegal for any person other than a Gas Safe® engineer to proceed with work on boilers. Never, ever attempt to do anything technical with your boiler. Call us today to arrange your boiler service. Q: Will you notify us when our next boiler service is due? A: Yes. After an initial boiler service with ourselves, the system will email you automatically one month beforehand. This helps ensure you maintain your boiler warranty. Q: Will you record the boiler service in our log? A: Yes. Please have your log book on hand for the engineer to sign. Our boiler servicing is available to all areas of Liverpool (Merseyside), Wirral, St. Helens, Knowsley and Sefton. Please click expand to view a list of areas our boiler servicing applies to. If you are not sure, please give us a call.